Advertising is easier when all your promotional materials catch the eye, and using this attention-grabbing Headdress Drink Ticket will do just that! Perfect for everything from parties to presentation evenings, this ticket features a large purple headdress, security numbering and 16 lines of text. 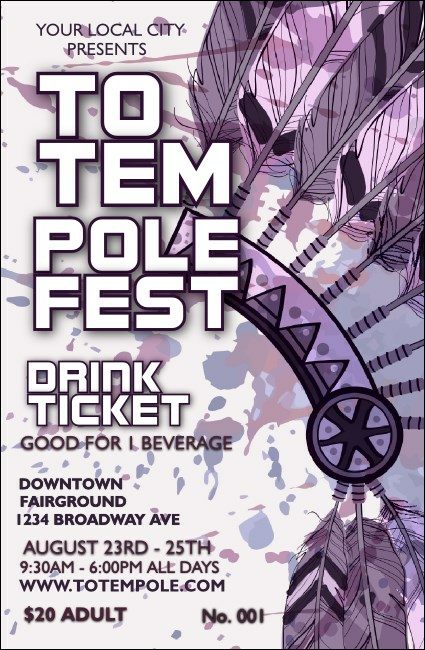 The right drink ticket for every occasion waits for you at TicketPrinting.com!